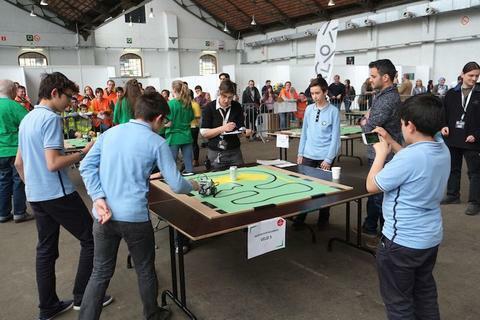 On Saturday 30/04/2016 I was at the RoboCup Junior competition in Tour & Taxis in Brussels. My mission? 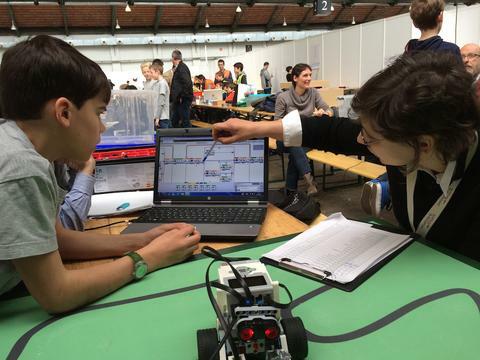 To check the robots developed by the different teams from the first grade in secondary education in Belgium. 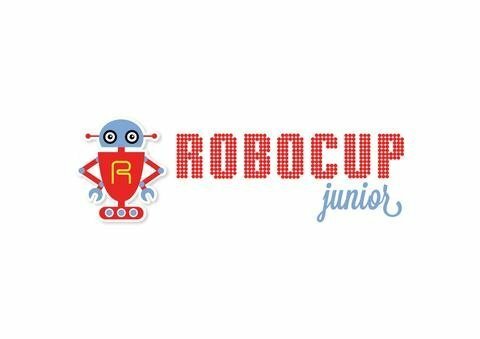 RoboCup Junior is the little brother of the RoboCup, an annual international competition where researchers come together from around the world and participate in various competitions. Their goal: to develop a team of humanoid robots by 2050 that can compete with the world soccer team. We started by interviewing the different teams, to know how they collaborated on making, programming and testing the robot. This was serious business - we even had competition forms in paper! On of the competitions is called "Rescue". 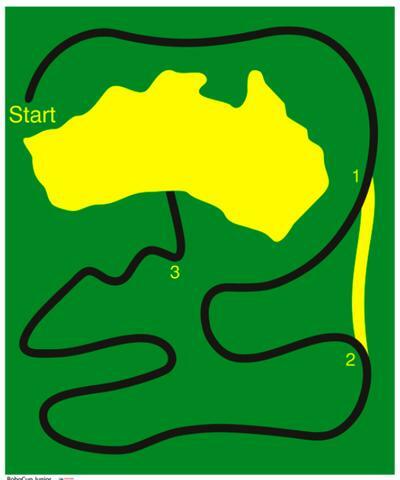 The robot has to follow a black line on a green surface until the robot reaches the swamp (in yellow). Here the robot has to find the tin can and push it out of the dangerous swamp. 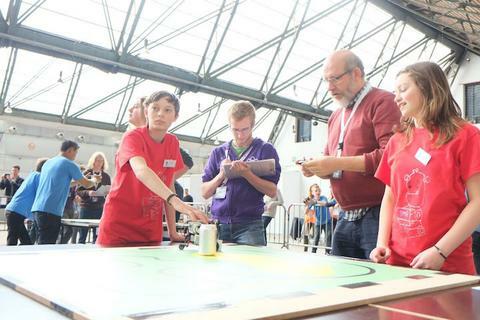 The robot team with the fastest lap wins! 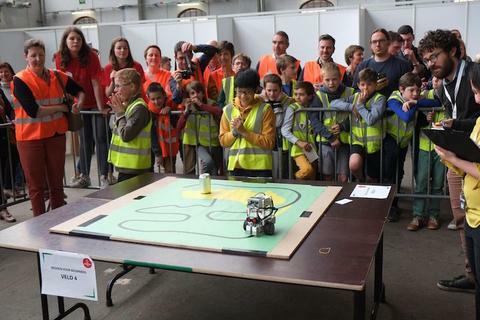 When I saw all these talented girls and boys - our future robotbuilders - I am sure that they will bring us supercool and very useful robots that can help and support us. So to the best soccer team in 2050: you have been warned!